Everyone needs that “special offer” to seal the deal. 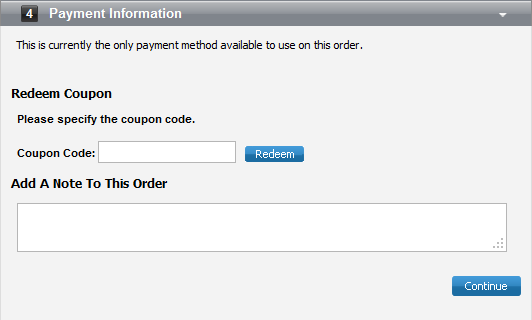 Fortunately you can setup coupon codes within the control panel! To do this, open up the coupons window. First thing you will need to do is give your coupon a name. The name& description itself will not matter to your customer, that is purely for your reference. The coupon type can be set to offer an amount off, a percentage off the total order or a free shipping if you do not currently already have that set. The coupon code is what you will need to set at the checkout. I would strongly suggest keeping that simple and to three of four character such as, 5OFF, 10CS. Something like that. 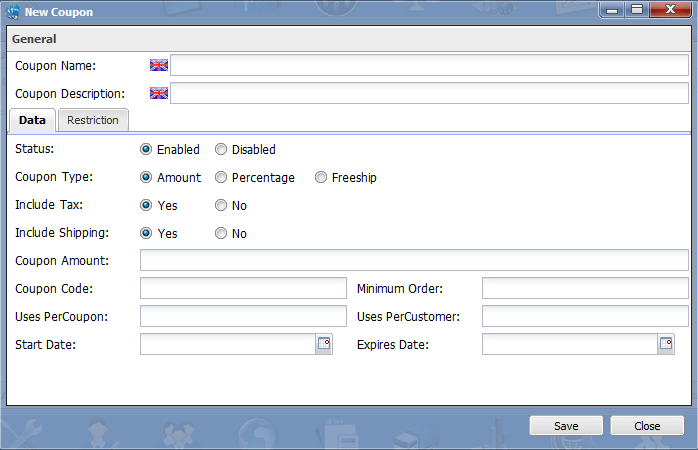 Finally if you leave the uses per coupon and per customer blank, this should be set to unlimited automatically. You will need to enter a start and end date. Customers can enter the code before the final stage of the checkout.